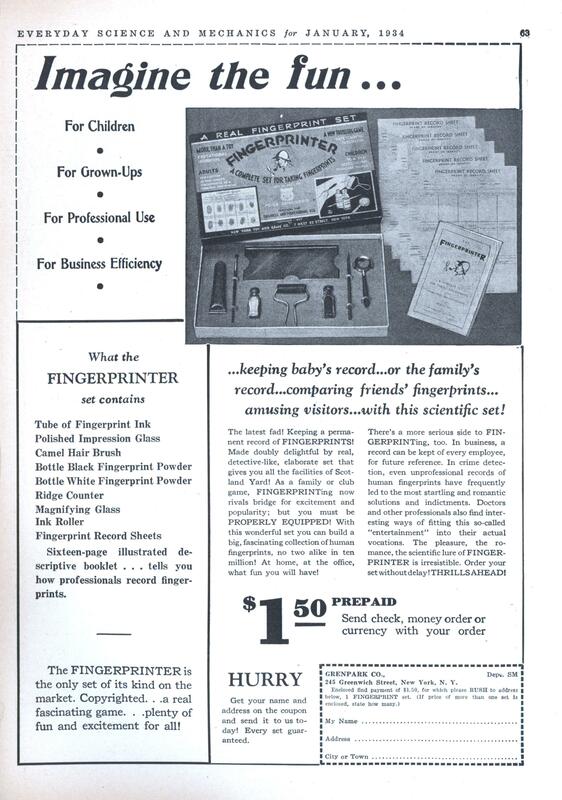 …keeping baby’s record…or the family’s record…comparing friends’ fingerprints… amusing visitors…with this scientific set! The latest fad! Keeping a permanent record of FINGERPRINTS! Made doubly delightful by real, detective-like, elaborate set that gives you all the facilities of Scotland Yard! As a family or club game, FINGERPRINTing now rivals bridge for excitement and popularity; but you must be PROPERLY EQUIPPED! With this wonderful set you can build a big, fascinating collection of human fingerprints, no two alike in ten million! At home, at the office, what fun you will have! There’s a more serious side to FINGERPRINTing, too. In business, a record can be kept of every employee, for future reference. In crime detection, even unprofessional records of human fingerprints have frequently led to the most startling and romantic solutions and indictments. Doctors and other professionals also find interesting ways of fitting this so-called “entertainment” into their actual vocations. The pleasure, the romance, the scientific lure of FINGER-PRINTER is irresistible. Order your set without delay! THRILLS AHEAD! 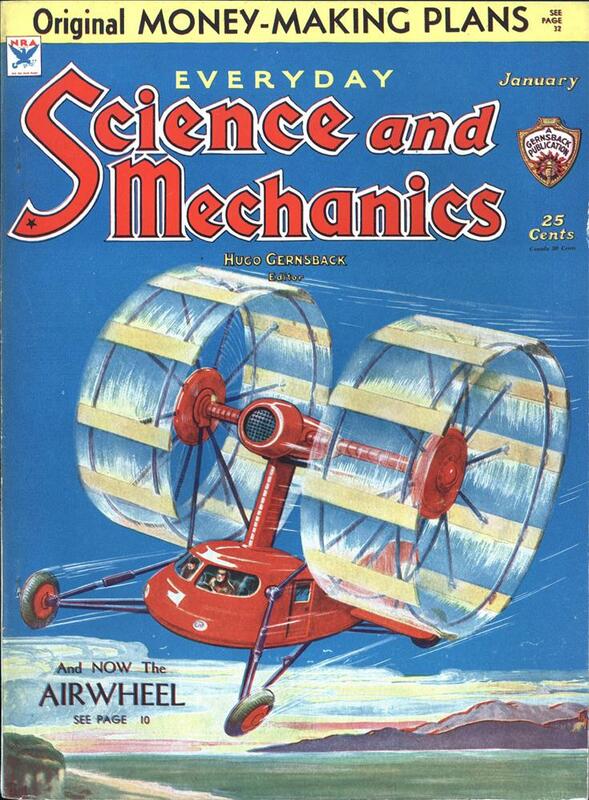 Sixteen-page illustrated descriptive booklet . . . tells you how professionals record fingerprints. The FINGERPRINTER is the only set of its kind on the market. Copyrighted… a real fascinating game… plenty of fun and excitement for all! 245 Greenwich Street, New York, N. Y. HURRY Get your name and address on the coupon and send it to us today! Every set guaranteed. Fingerprint your friends, family and employees, sell the prints to the FBI for profit! Prefect for the kids who want to join Homeland Security!